The statistic shows the percent of households in the United Kingdom that have connection to the internet in their home. The distribution is based on their household composition. 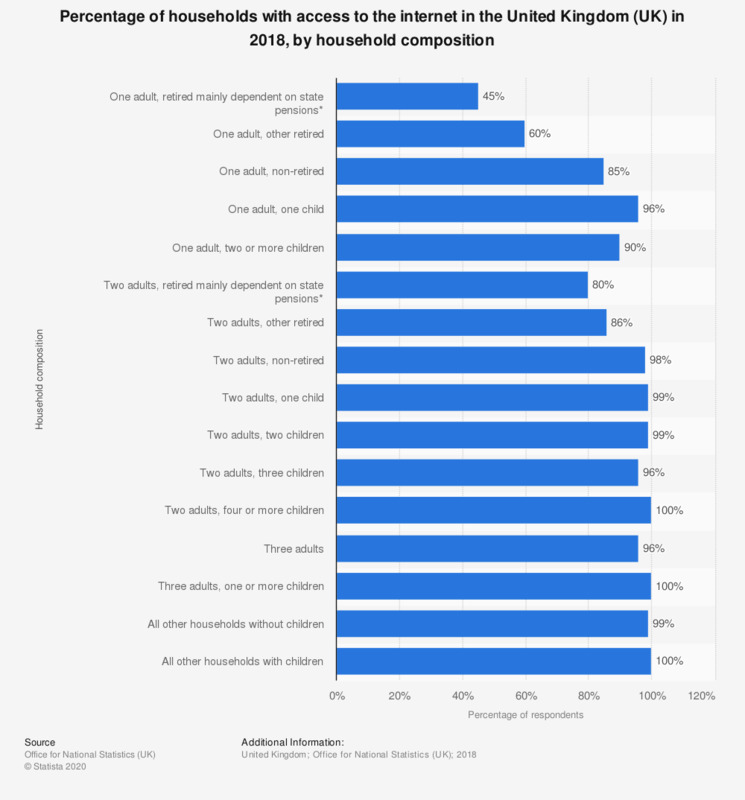 The survey was conducted in 2018. In this year, only 45 percent of households consisting of 'one adult, retired mainly dependent on state pensions' had internet access. In households consisting of two adults and four or more children, 100 percent of respondents had internet access. * retired and economically inactive, mainly dependent on state pensions. Does your Internet connection never break down?